For those who need additional help to wake up, these apps charge you for the privilege or sleeping in. Even with advances in technology, waking up on time is something most people aren’t capable of. If motivation from major celebrities to wake up isn’t your thing, there’s now a variety of alarm clocks which charge you for the privilege of sleeping in. MoneyAlarm 2 is a straightforward alarm which gives users two minutes to wake up after an alarm is triggered. To verify users are awake, they have to press a button displayed within the app. To use the app, users specify a deposit before falling asleep. If they wake up on time, the deposit is refunded to their balance. If they don’t wake up on time, they’ll lose the money which goes directly to the developer. The app requires iOS 8.1 or later and is compatible with the iPhone, iPad, and iPod touch. 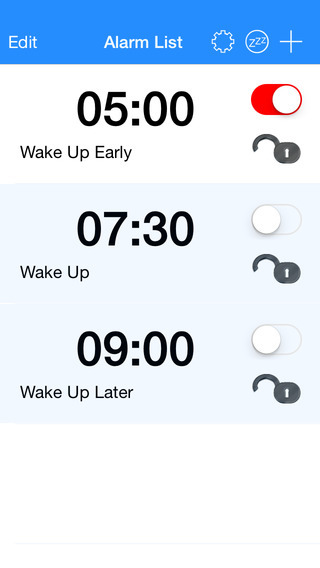 Among the limitations of the app, one of the biggest is that it currently only supports setting a single alarm. Time Is Money: Alarm Clock is similar to MoneyAlarm 2 however it contains a few additional features. Most notably it checks if the user is awake by having them sort a list of numbers. In addition, it keeps stats on delays and penalties. Users can also use any ringtone, music, sound, or mp3 file for the alarm sound. The app is compatible with Android devices, and it supports multiple and recurring alarms. Snooze U Pay literally treats time as money. When the alarm is triggered, users can snooze up to five minutes at no charge. If the user chooses to sleep longer they can purchase bundles of minutes in the following amounts: 10 snooze minutes for $0.99, 30 snooze minutes for $2.99, and 120 snooze minutes for $11.99. 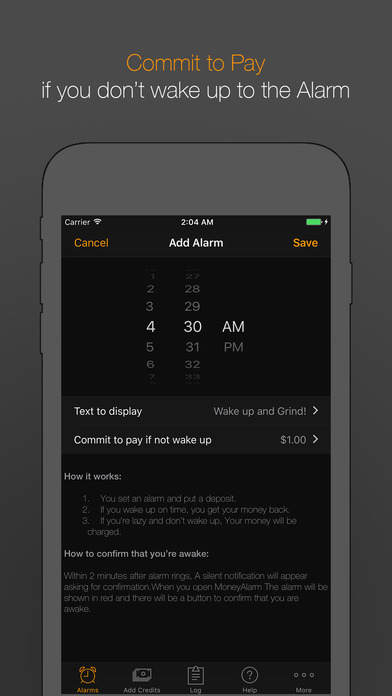 Snooze U Pay requires iOS 7.0 or later and is compatible with the iPhone, iPad, and iPod touch. WAKEorDONATE, as the name implies, is an alarm that donates money to charity each time you push the snooze button. 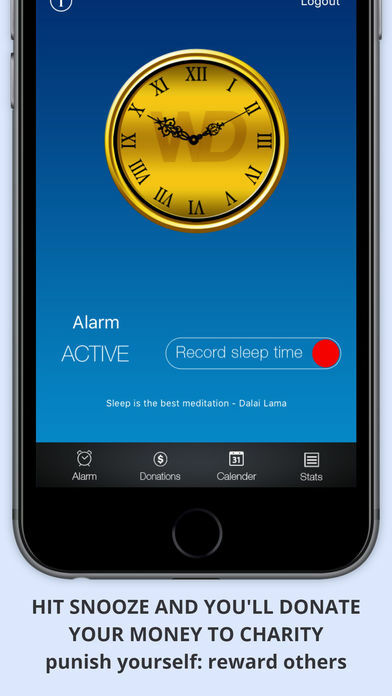 Users are able to customize the value of each snooze to be 50p ($0.62 USD) to £10 ($12.46 USD) and can be donated to a variety of charities. Users can choose to donate through the app or they can make donations manually. In addition to being an alarm, the app manually monitors sleep statistics. It calculates the time the user rests and keeps notes on bed and wake times. The app requires iOS 7.0 or later and is compatible with the iPhone, iPad, and iPod touch. Of course, while all these solutions are great, if you really want to go old school, you can DIY your own alarm clock that will shred your money. Waking up or donating money? That seems like the type of things I could get into. I have no issue donating my money, however, I really never had any issue waking up in the morning so these apps might not be for me.